Prime Minister Sheikh Hasina on Friday said Bangladesh welcomes Indian investment for further development of the country. She simultaneously urged the Indian government to facilitate the Bangladeshi investors to make investment in India, particularly on joint venture, saying that it will be a win win situation for both the countries. The prime minister came up with the request when Kolkata business leaders called on her at Mandarin Room of Hotel Taj Bengal Kolkata in India on Friday evening. 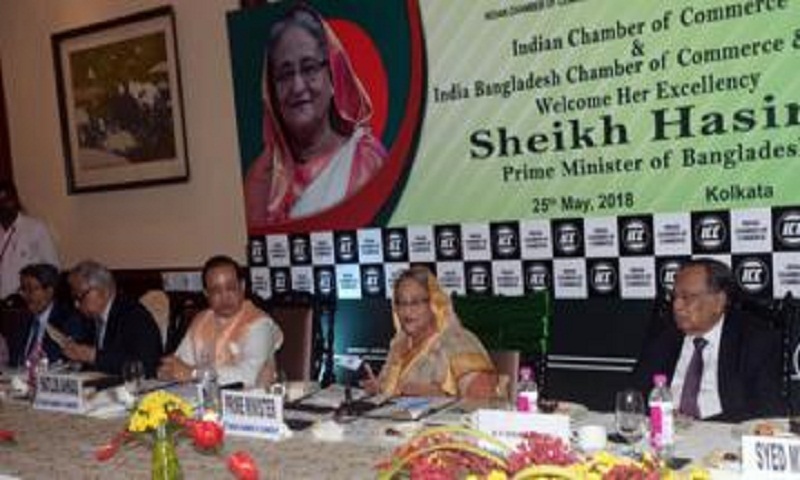 Sheikh Hasina also sought support of the Indian business leaders for river dredging in Bangladesh and said that it will boost connectivity in the region. Later, the prime minister attended a banquet at Raj Bhaban hosted by West Bengal Governor Keshari Nath Tripathi. The Bangladesh prime minister arrived Kolkata on Friday morning on a two-day official visit to India at the invitation of Narendra Modi.